A dozen Armed Forces Retirement Home-Washington residents came down to the southwest corner of their 250-acre campus Oct. 19 to enjoy free hot chili, chips, cookies and drinks supplied by Friends of the Soldiers Home. The goal of the Friends VIP Hospitality Tent was to encourage residents to come out and enjoy an annual activity that has been happening on their campus for several years — the DCCX Cyclocross Race. The chilly day undoubtedly kept some residents from venturing out, but those who did enjoyed watching the race in the company of friends! Pictured in photo below, left to right, residents Lloyd Bylund and Phil Ford, and volunteers Zach Hartman, Lori Lincoln and Jeffrey Knudsen and Jeffrey’s daughter Autumn; in the other photo, the Friends banner marked the hospitality tent. We had plenty of residents join us for Happy Hour on Tuesday night, Sept. 30. Residents enjoyed the company of other residents and Friends of the Soldiers Home volunteers — and they even enjoyed some bad jokes! Everyone welcomed Glenn Hamilton – enjoying his first day at the Armed Forces Retirement Home with his daughter and son-in-law. 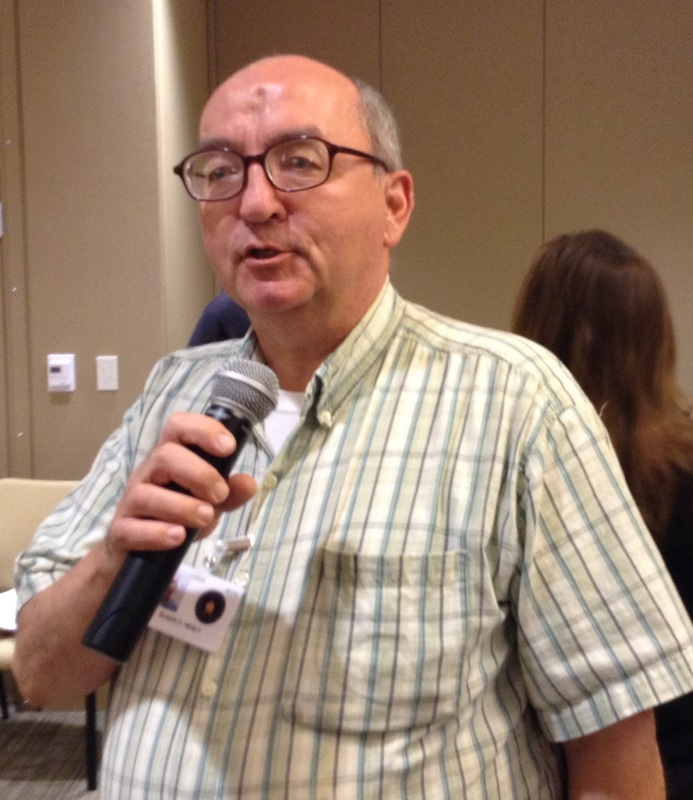 As the photos show below, resident Ron decided to show us his Shrek imitation; one resident took the mike and told some of his own jokes; and new resident Glenn learned just what happens at Happy Hour. 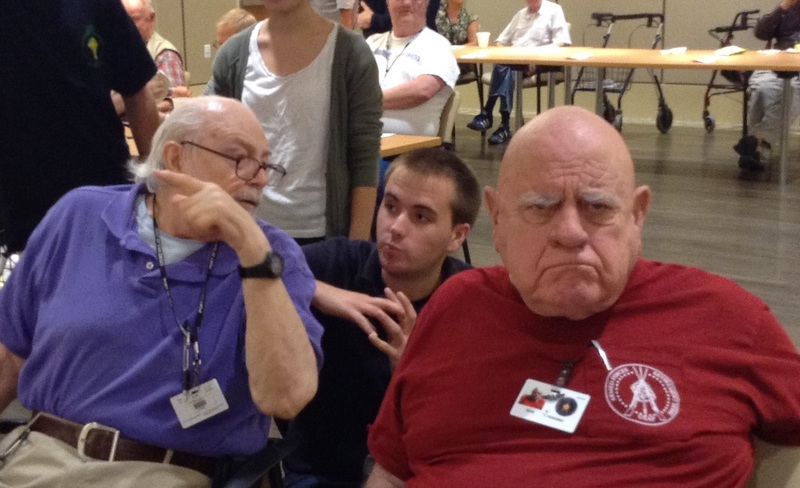 The Friends and residents also enjoyed the help of a wonderful set of volunteers from Catholic University. Come and join us this fall as we move inside for Happy Hour. 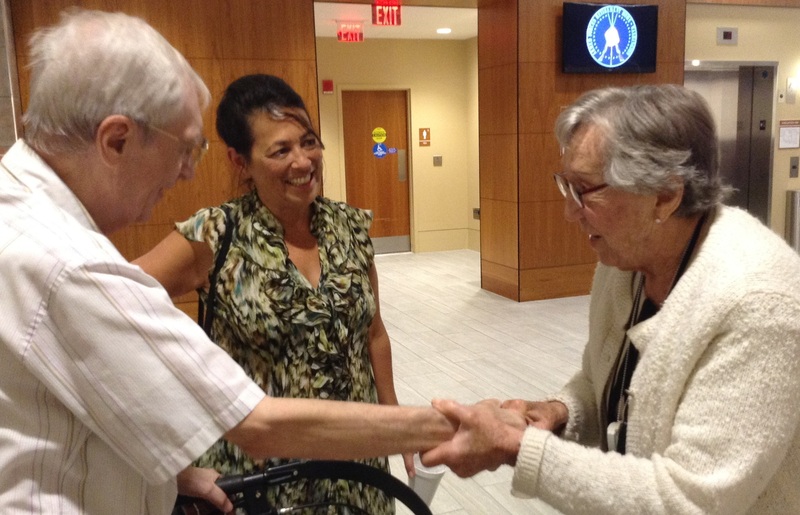 We meet the last Tuesday of every month – serving residents, enjoying conversation and welcoming new residents. Our next Happy Hour will be right before Halloween on Oct. 28 — might be spoooooky. Write Lori Lincoln at volunteerfriendsofsoldiers (at) gmail.com if you would like to help! Catherine greets Glenn – a new resident. Fall Fun Fest was a huge success on Sunday, Oct. 5, with more than 1,400 people enjoying German music, dancing, beer, food, a pumpkin patch, antique cars and much more at the Armed Forces Retirement Home in Washington. Weather was gorgeous for this first annual event, which was an expanded version of the Oktoberfest of 2012. The campus was beautiful, and the friendship of many Home residents who came down to enjoy the day was on display. 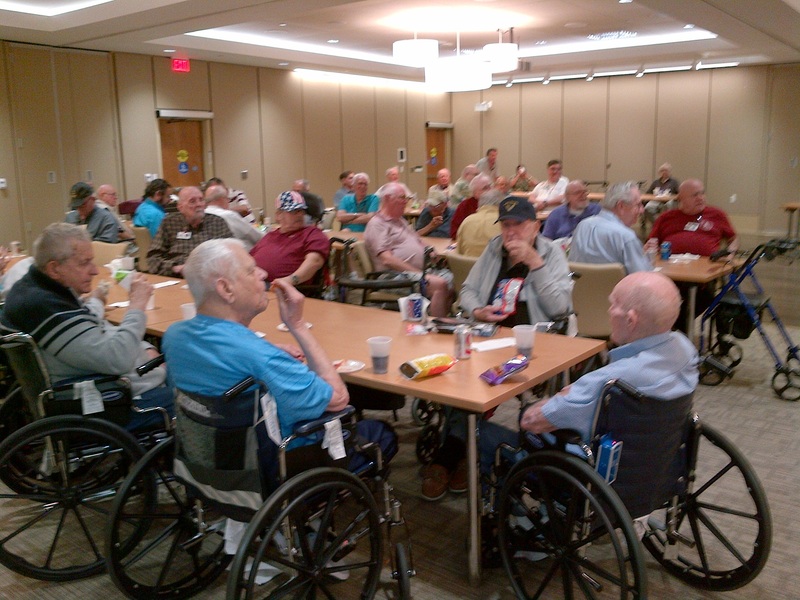 Friends of the Soldiers Home participated with several organizations in delivering the day’s events. Thanks to all who came out and participated! Enjoy the photos by Linda Lawson.